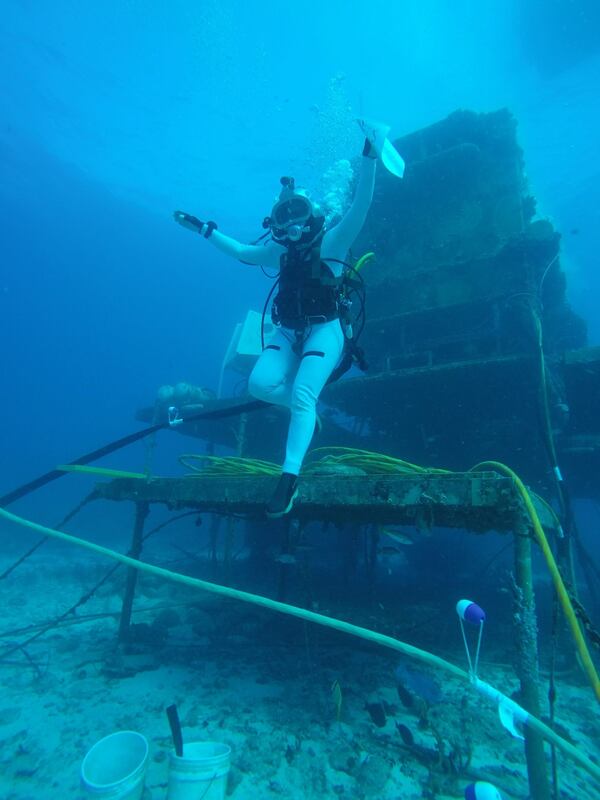 This week Dr Dawn Kernagis' office has been under the sea. Dr Kernagis is a typical member of the Women Divers Hall of Fame (WDHOF). "She is an underwater diver, and she has made a significant contribution to the diving world". Do you know diver like Dawn who fulfils the above criteria, that deserves to be recognised? You can now nominate potential members for the 2016 / 2017 fellowship until Tuesday 30th August 2016. Cristina Zenato (shark advocate and cave explorer). WDHOF members are pioneers, leaders, innovators and world record holders throughout the international diving community. These areas of diving and undersea endeavours include: the arts, science, medicine, exploration, marine archeology, business, media, training and education, safety, commercial and military diving, free diving and underwater sports. The WDHOF has two primary roles. To recognise the outstanding contributions that women divers have made, and to provide educational and mentorship to the diving community. Each year the WDHOF awards scholarships and training grants that provide financial and educational support to individuals who are preparing for professional careers that involve diving.